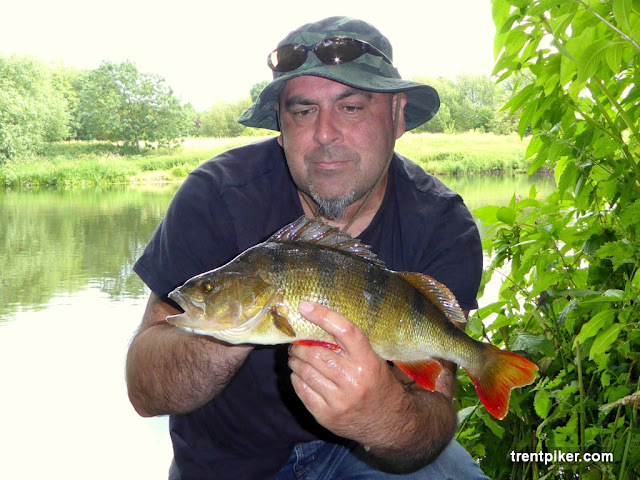 I grabbed the chance of a quick couple of hours on The Trent today so I took the lure rod and had a chuck around. Only had the one fish, a lovely summer perch. That's a lovely perch, mate.